Since I’ve become an Avon representative, I’m enjoying experimenting with their beauty products. Lipstick: I normally don’t like applying lipstick because it usually ends up being a sticky mess. However, that’s just me. I’ve recently discovered a tip that makes wearing lipstick less sticky. This also makes the color last longer. There is a lip conditioner from Avon that I like. It helps with the stickiness. Apply the conditioner before lip gloss or lipstick. I’ve also found that wearing a medicated lip balm or vaseline overnight helps. Eyebrows: Shape your eyebrows with an angled eyebrow brush or a small toothbrush with a little bit of hair gel. It helps hold their shape all day. You may frown upon using hair gel on your brows, although it does the trick. Foundation and Primers: I normally have oily skin, and most often, liquid foundation and oily skin isn’t a good combination. Although, there are oil-free foundations and powders that work well with oily skin. There are primers on the market that help with (both) dry or oily skin. 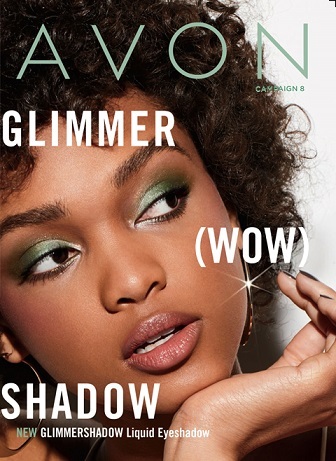 I found a nice primer on Avon. The name of it is Magix Face Perfector. It is oil-free, and it keeps your foundation fresh and shine-free. Also, this primer is for a diminished look of pores and wrinkles. You apply it before your makeup. Vitamin C And Your Skin: I’ve been an Avon rep for only about a month now and recently discovered a Vitamin C serum for your skin. I never knew there was a serum such as this until I began studying Avon products. They have a product that leaves your skin bright and fresh. The name of it is Anew Clearly C 10% Vitamin C Serum. It also helps fight the signs of aging. Apply it before your moisturizer and makeup. Mascara: Whatever you do with your beauty regimen, always use mascara. It brings out the eyes. If you’re in a huge hurry…late for work or an appointment; a nice moisturizer, mascara, and lipstick, (or gloss) will be sufficient. I love mascara. The very first time I applied it, (when I was a teenager), it was definitely an AHH moment! 😉 Avon has a Super Shock mascara that I LOVE! Moisturizers and Anti-Aging Creams: I’m currently experimenting with Avon’s Anew anti-aging products. I’m loving them so far. Although my skin breaks out easy, so I’m using their Clear Skin line with it. I’m using the Anew Vitale day and night cream. I have to say that my number one, immediate take away was how my face looked first thing in the morning. My skin looked fresh, and not that usual sleepy look in the morning. Many women don’t believe in creams for fighting the nature of aging. Do they really work? I have personally tried many, many skin care products and did not take away much. However, I like my experience with the Anew products so far. I will keep ordering. I also will be doing a review on the Avon Anew products soon, so stay tuned!